Here we are, the 8th and final installment of the “Get Your Weight Up” Series . If this is the first installment you’ve seen, everything makes sense reading from the beginning of the series up to this point. Simply click for Part 1 , Part 2. Part 3, Part 4 , Part 5, Part 6, and Part 7 here. I’ve shared alot of information from my personal study and practice of thinking about and handling money in a way that will prepare you to have financial life that is strong yet flexible, but most importantly , capable of having the issue of money, one of the few issues you will not be overly concerned about. 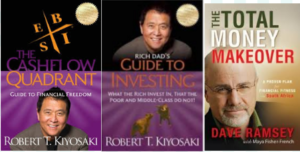 This installment is about a small selection of the many books I have read or listened to that gave me some piece of information , that I have incorporated in my money philosophy and financial actions. Covering all the materials I have studied or are currently studying would be a book in itself! But what I am sharing with you is definitely a great foundation to start from . So here we go! I LEARNED DEEPER ABOUT MONEY , CURRENCY , TIME AND ECONOMIC POLICY WITH THESE BOOKS. In Part 1, I encourage the reader to see money differently than from what they have been taught and conditioned to see it as such . The reason why is because money in the form of currency generally devalues over time , and often it’s a gradual change at first, that starts to escalate really fast towards the end of it’s practical usability. The book When Money Dies by Adam Ferguson talks about what happens when a nation’s currency collapses and economic policy profoundly changes the definition and value of money, how people react , and even how a few profit from the change. Rich Dad’s Conspiracy of the Rich and Rich Dad’s Prophesy, both by Robert Kiyosaki talks about how this is very possible in our lifetime in the U.S. and other nations as well. You should Google the terms “Hyperinflation” and “Currency Crisis” and read up on what’s happened and is currently happening in different countries. My point is not to scare anyone , but to make you aware that having a strong understanding of what money is, or is becoming needs to be at the foundation of how your money is personally handled, so that you and your circle are not caught off guard or even better, positioned to profit! The more people that are aware of this and adjust accordingly, the less difficult any drastic change like this will be, and perhaps even good fortune for those prepared. You definitely need to check out these books for the deeper details! I encourage readers in Part 2 to consider two basic money philosophies and challenges to drive their decisions in handling money and debt in their financial lives. 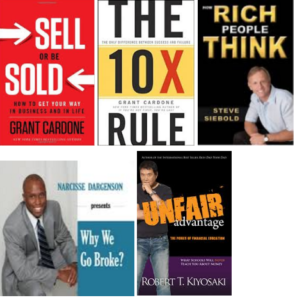 I recommend Sell or be Sold, The 10 x rule, both by Grant Cardone, and How Rich People Think by Steve Siebold to be a great foundation of developing a mentality of being assertive and focused about your money above the average “Just enough ” mentality most people have. Narcisse Dargensons’s Why We Go Broke, is an excellent primer for those who lean towards the “All Cash no Debt, Saving, Investing” model, and Unfair Advantage by Robert Kiyosaki is a good template for the “Cash, Investments and Income Producing Debt” model. A sound money philosophy takes all the momentary thinking out of your action taking, and allows you to adjust to changes with well informed decisions, which frees you from constantly reacting to money issues, so you can focus on living. Part 3 and Part 4 were about Saving and Investing. Rich Dad’s Cashflow Quadrant by Robert Kiyosaki taught me about different forms of income, and how some forms are more advantageous than others. You definitely want to read this book. Rich Dad’s Guide to Investing really hammers down the point of investing in ways to synergize and compound your returns and income, while reducing risk of loss with several vehicles instead of depending on just one form of investment vehicle, and income source. Dave Ramsey’s Total Money Makeover, is a good foundational book on saving and eliminating long term consumer debt, which positions you to be able to focus on investments better. A tight savings and investment plan will eventually break you away from having to work or hustle in ways you do not want to , and again, will allow you to focus on deeper life issues. I plan to be at that point within the next 10 years or less and I want you to be there as well! THESE BOOKS INFLUENCED MY INSURANCE STRATEGIES. In Part 5 I covered the importance of good insurance policies in your life to protect you from negative events that can disrupt your work and investment income. I advised you to consider synergizing your premium payments with an underlying whole life , dividend paying policy, so that you could recapture much of the premium payments you have with your other policies. R. Nelson Nash is the founder for codifying the “Infinite Banking Concept” , whereas these policies have been around forever. 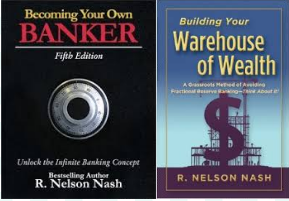 Nelson through his books Becoming Your Own Banker and Building Your Warehouse of Wealth show readers how to maximize the use of their life insurance policies while they live! Whether you go, term, universal, or whole life when it comes to insurance. make sure you insure yourself properly. Its is tragic to be financially assertive and diligent , only to have alot of your time and money destroyed by means that could have easily been protected against beforehand. Be wise! THIS BOOK REALLY INFLUENCED ME ON THE WEALTH OF GIVING. Part 6 was about the the power of giving back as you prosper in your personal financial life. Its really one of those things you have to try and see the results of in my opinion . But what really called me to focus on the importance of giving beyond my religious upbringing was Deepak Chopra’s Seven Spiritual Laws of Success. In the book he talks about the fluid nature of money , and that not having it flow through your life can create stagnation. All I can say as I dedicate some of my time and money beyond my needs to others , and as I support and patronize others, life has a way of keeping everything lined up to prepare me to have and give more. This is definitely something you should remember in your success, some of the most richest Billionaires go into full time giving called Philanthropy, not just because they have a big Heart, or they need the tax writeoffs, but because they have objectively seen that if they do certain actions, they get certain results. Sometimes , doing a positive thing such as giving as you prosper just works with no explanation. I HAVEN’T HAD ANY GROUP PROJECT’S YET BUT I’M MAKING MOVES. 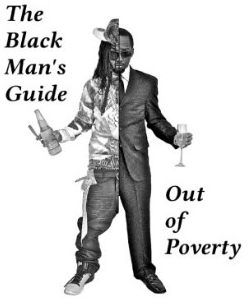 Part 7 is about reaching a state of Financial strength and independence personally , and then linking up with other thinking black men and associates to develop group projects that can generate bigger income and promote closer circulation of money within the group. This is a level I am aspiring to , and perhaps you as the reader should do as well. I’m already affiliating myself with individuals and groups and people who are heading the same direction that I am , and when I feel my personal foundation for Joint Ventures is ready, I will have the associations established, as to where I know my associates and their abilities , and they know me and my abilities and we can grow, prosper and give as a team. Ability, Trust , Vision , and Cooperation is that next level of Collectively “getting the community weight up”, and I think it’s definitely worth the focus. SO WHAT AM I CURRENTLY READING FINANCIALLY. 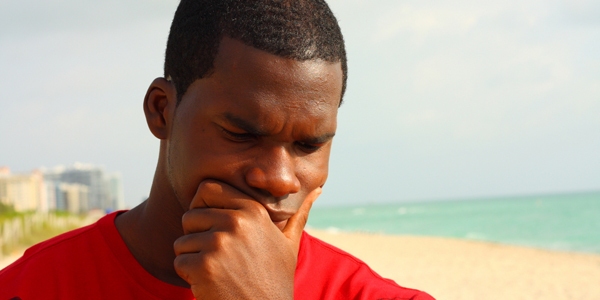 AND WHAT’S NEXT FOR THIS THINKING BLACK MAN? It’s been a great honor to share so much information with the Negromanosphere. Right now my plate is full in a good way! I have 4 major moves I’m making currently in my life to get my weight up, all of equal importance. 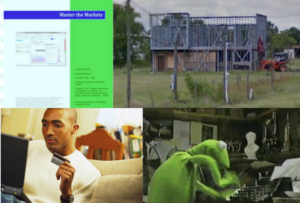 I’m working on my next skill set of being able to trade financial markets, so I’ve been given a book from a Professional Trader Ernest at Sucker free Trading called Master the Markets By Tom Williams. I’m focusing these next 9 months on educating myself and experimenting with trade platforms, and simulator trading , not real money, to get ready to use real money for the next year. The steel frame building in the picture is a family construction project I am now taking bids on to complete. If it goes the way I plan , I get to secure newly constructed housing , and lock in my low cost living expenses, with some built in equity. I’m also strengthening my credit, which I really did not cover in this series because my blog colleague Josh Sillto did such an excellent job on it in his blog The Death Of Bad Credit: How To Fix Your Credit Score, And finally, I will continue to be a contributor here at the Negromanosphere so I can be a positive impact on influence a better culture for the Thinking Black Man. I’m Highly confident in the advice I gave in this series, and I hope you now have a new perspective about money and effective handling of your financial life. I definitely encourage you to have ongoing self study and if you want, friend or follow me on facebook, where Im constantly posting all kinds of interesting things, both financial and non financial. See you next week with another Article!